The Maurice River is within NJ Dept. of Environmental Protection’s Watershed Management Area (WMA) 17. This report is a characterization current water supply, usage and recommendations for each WMA in the state. Page 205 focuses on the WMA 17. 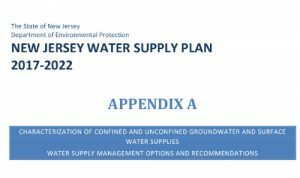 Contains material on laws which govern stream flow, rainfall, evaporation, ground storage, surface storage, surface or flood flows and analyzes the data obtained from gauging.